We’d like to introduce you to a few of the researchers who are working to find more effective treatments for Dystonia, Parkinson’s Disease and other movement disorders. Dr. Jerrold Vitek is Professor and Chair of the Department of Neurology, Director of the Neuromodulation Research Center and Director of the Udall Center of Excellence for Parkinson’s Research at the University of Minnesota. 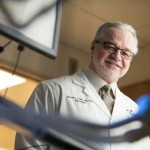 Previously he served as the Neuromodulation Research Center Director at the Lerner Research Institute of the Cleveland Clinic Foundation developing functional surgery and deep brain stimulation (DBS) techniques for the treatment of neurological disease. Dr. Vitek has also held faculty positions at Emory University and The Johns Hopkins University, where he assisted in the development of the functional neurosurgery programs and conducted research on the pathophysiology of Dystonia, Parkinson’s disease and Essential Tremor and mechanism(s) underlying the beneficial effects of Deep Brain Stimulation (DBS). Dr. Vitek is a world recognized expert in Dystonia and he and the department team offer specialized treatments. He invites providers to refer their patients to the center for evaluation, and involvement in cutting edge research. Dr. Vitek is currently the Principal Investigator (PI) on several NIH-, foundation- and industry-funded grants, which include both preclinical and human clinical studies on the neurophysiology of movement disorders, neuromodulation mechanisms, brain biomarkers, closed-loop therapy and novel stimulation patterns. He is also the PI for an industry-sponsored multicenter phase III pivotal clinical trial to investigate the safety and efficacy of a new neuromodulation device for the purposes of an FDA PMA submission. Many of his research projects involve close collaboration with other neurologists, neuroscientists, neurosurgeons, radiologists, and/or biomedical engineers. Much of this work has provided new insight into the neurophysiology of movement disorders and the therapeutic mechanisms of DBS and contributed to improvements in DBS surgery and treatment as well as the application of DBS to other neurological disorders. The team has exclusive access to a 7T MRI scanner at the UMN Center for Magnetic Resonance Research and patient-specific anatomy maps that they offer to every surgical candidate to ensure the best possible surgical planning. Dr. Vitek is also known for his thorough neural mapping technique to verify and finalize the DBS lead placement. This is all contributing to the future ability to offer a full-asleep implant procedure. Quality outcomes for his patients is Dr. Vitek’s top priority. The team is also using the new Infinity DBS system that offers a segmented lead for field steering, unique smart device connectivity, and novel research capabilities. These innovations with help personalize the therapy to the patient’s individual needs and well as offer the prospect of remote programming / telemedicine benefits. Dr. Gregory F. Molnar, Ph.D.
Dr. Molnar brings to UMN his 20 years of experience as a medical device innovator and expertise in neuromodulation research. Greg joined UMN last year as an Associate Professor in the Department of Neurology and provides leadership to the clinical and preclinical research across the UMN Deep Brain Stimulation (DBS) Research program. Greg and his team work to improve the quality of life for people with Dystonia, Parkinson’s Disease (PD) and other movement disorders. He is a Principal Investigator in the newly established UMN NIH Udall Center of Excellence for PD Research. Dr. Molnar trained as a clinical neuroscientist at the University of Toronto, where his research focused on the mechanism of action of DBS. Greg continues to support DBS implant surgeries at UMN through neurophysiological mapping of the brain. After his training, he was recruited to Medtronic where he served as the Director of Neuromodulation Research and led his team of scientists to advance our understanding and treatment benefits of several therapies including DBS (Dystonia, PD, Epilepsy and other disorders), Spinal Cord Stimulation (Chronic Pain), Sacral Nerve Stimulation (Incontinence), Gastric Stimulation (Gastroparesis), and Intrathecal Drug Infusion (Chronic Pain, Spasticity). Dr. Molnar holds numerous patents and publications in the neuromodulation space and some of his inventions in the areas of closed-loop brain sensing and field steering DBS devices are benefiting patients today. He is a strong advocate for innovation, translation, and championing culture change activities to bring various stakeholders together with common goals. 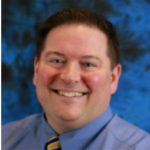 He currently also serves as an Industrial Fellow and Member of the Institute of Engineering in Medicine, the Chair of the MnDRIVE Brain Conditions Subcommittee for Industry Relations, Fellow of the Medical Device Innovation Consortium, a consultant for various firms, and as a mentor for students. 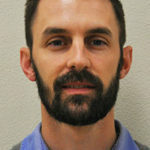 Dr. Joshua E. Aman, Ph.D.
Dr. Aman’s research focuses on examining neurophysiological and biomechanical indications of movement disorders. That is, investigating the underlying neurophysiological mechanisms of movement disorders and how they manifest themselves through signs and symptoms. In parallel, his work also focuses on the mechanisms of action of deep brain stimulation (DBS) and its effects on neurophysiological processes and subsequent (motor and non-motor) behavioral changes. Dr. Aman received his doctorate degree from the University of Minnesota in 2012, focusing on the effects of DBS on somatosensory function in Parkinson’s disease. He spent the next three years studying somatosensory function in Dystonia and in 2014 received a College of Education and Human Development Faculty and Staff Research Award for his work on evaluating and improving somatosensory function in movement disorders during which he traveled to Singapore and worked with collaborators from Nanyang Technical University on these protocols. He joined the Department of Neurology in 2015 and in 2016 he was awarded a MnDRIVE fellowship in neuromodulation for his proposal to use intraoperative neurophysiological recordings and high resolution brain images to develop patient-specific DBS programming strategies for improving outcomes in Dystonia patients following DBS lead implant surgery. In addition to his research, Dr. Aman was trained in clinical neurophysiology by leading experts Dr. Jerrold Vitek and Dr. Scott Cooper on the interpretation of intraoperative neurophysiological brain activity, or “brain mapping”. Dr. Aman provides support to the U of M neurosurgical team during DBS lead implant surgeries by interpreting neurophysiological activity in order to determine the optimal location for implanting the electrode within targeted structures in the brain.